Diamonds are a girl's best friend. I'm obsessed with jewellery specially diamond and pearl because they look beautiful and can be crafted in so many ways! Although there are different type of jewellery available in the market, but the diamond gives an extra pleasure and satisfaction to girl when she wears them. So, Today I'm going to introduce you with Anjolee (The Art of Jewellery). Anjolee is one of the largest diamond jewellery manufacturer in the United States.They offer a huge variety of elegant designs and styles Anjolee was established in 1977 as a high-end jewelry manufacturer variety of eye catching designs. The company originally started selling its products to wholesalers and retail stores and quickly gained recognition as the leading manufacturer of high-end diamond jewelry. Anjolee's product line has expanded throughout the years and includes an extensive collection of bridal jewelry, rings, diamond bracelets, earrings, necklaces, and pendants. 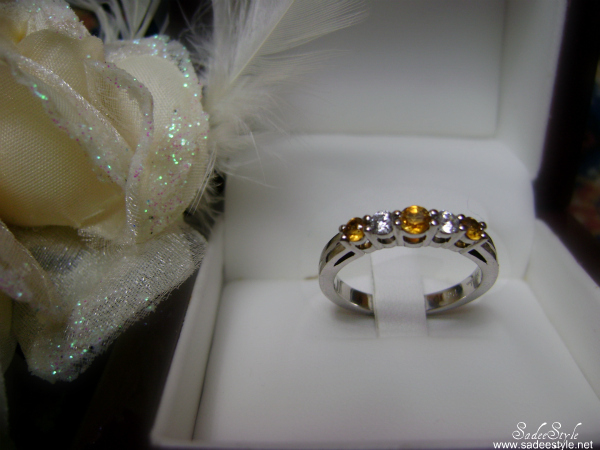 If you are interested in diamond you must visit Anjolie I'm thoroughly enjoying my newest citrine diamond ring in white gold which I got from the Anjolee. No doubt ring is extremely beautiful with a unique design and gemstone, and it becomes simply irresistible because of its glorious diamond cut and could be a best sentimental gift to give for someone you love. It would be surprise appearance of love. There are so many different varieties and styles to consider, but white gold has become popular in more recent years, and can make for a more versatile choice because its neutral colour can so easily be combined with other jewelry. 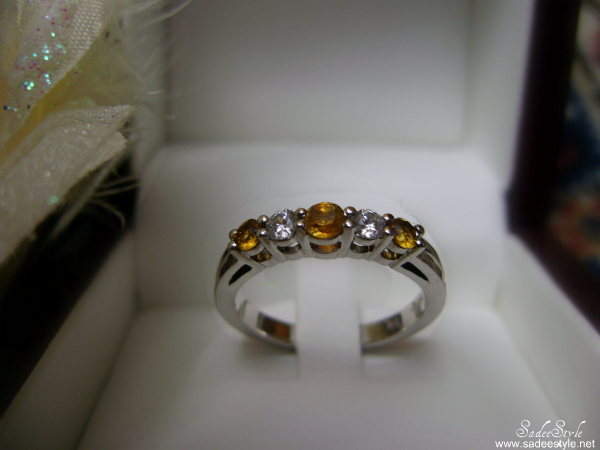 I customized my ring with white gold, citrine and diamonds. However, you can set your budget and can customize your own with emerald, sapphire, or ruby along with the diamonds. 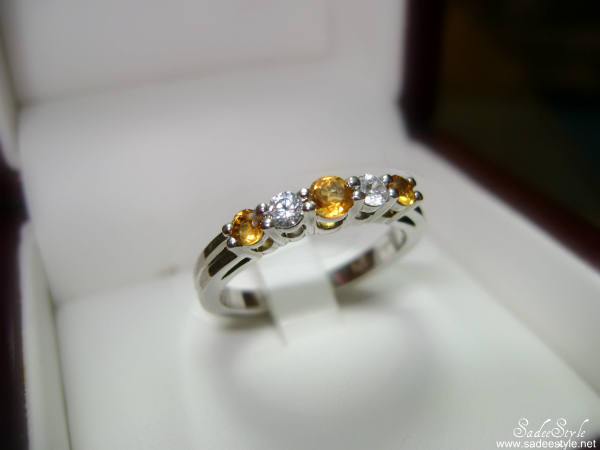 Visit the link to customize your own ring Wedding Rings And Anniversary Rings. it's actually an anniversary ring but, if you are looking for the right diamond setting for your loved one for an engagement then anjolee could be a best site for you to visit. Anjolee also own wide range of engagement rings, the engagement ring is a most awaited gift by a woman to receive from her man click through the link for personalise your own design Diamond Engagement Rings With Side Stones. There are many different styles and cut of diamonds to choose from. Ring can be crafted depending upon the choice of the people set your budget price and customise your own ring and make your specials days more beautiful and memorable. Whether you are looking for White Gold or Diamond jewellery or Diamond Engagement Rings you will find it here. There is really something magnificent about the beauty and sheer elegance of the combination of gold, white gold and beautiful diamonds. Diamond anniversary ring, Wedding set, Diamond bridal set. Anjolee’s jewelry collection can be found in retail stores across the United States, Canada and on many online websites. In 2008, Anjolee launched its own website, Anjolee.com, and began selling directly to consumers. That decision allows consumers to purchase directly from the manufacturer, at the best possible prices with faster delivery on all customized orders. Anjolee has successfully served thousands of satisfied customers. 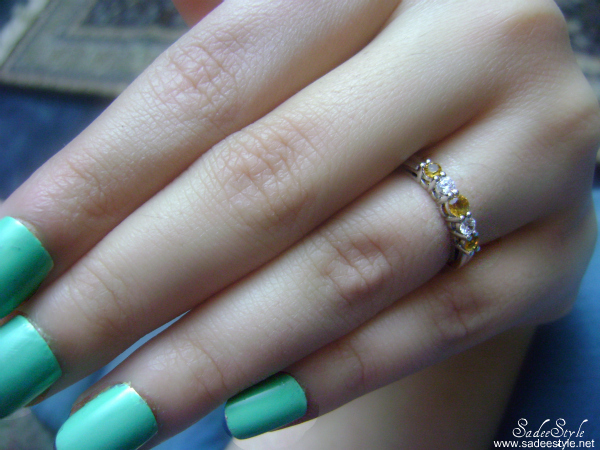 beautiful ring :) nice review ! I'd love it with mint toned stones.. Lovely. That ring is so gorgeous! This ring is such a beauty and sleek ! !